In Viet Nam, no many companies declare their core values which help them to build the mission, cultures, and reflect the company values. But in IMC, The Board of Directors defined clearly 5 core values in the early days of operation. One of the 5 value is high responsibility to the community and the environment. 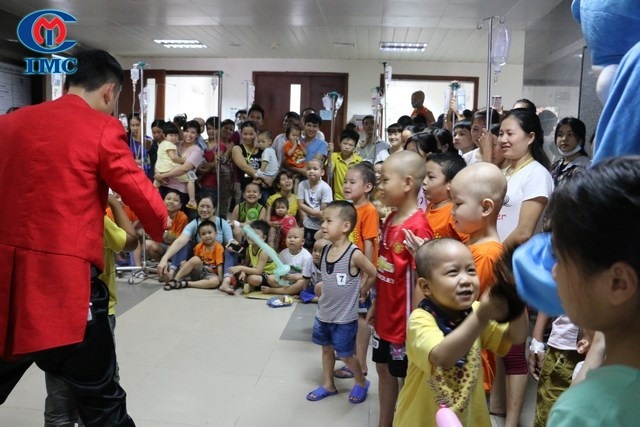 According to the Party committee secretary, Chairman of the Members’ Council – Hoang Nguyen Xuan, the concept of social responsibility is no longer new in the world but has been proposed by many large corporations for a long time. But if many companies consider “social responsibility” as a tool to support the social outside relations of the company (with careers, authorities), to enhance brand identity through sponsorship and charity activities…, IMC considers this core values as a method to train the staff. Why is that? Only with high responsibility to the community and the environment, each IMC person is empathies and sincere with the concern of the community for the burden of chronic non-infectious diseases caused by contaminated food. These activities of IMC are the clearest evidence for a commitment to high responsibility to the community that the Board of Directors has declared. IMC hopes that, the support of both material and spiritual will bring good values to society and community!